On November 5th 1971, British Steel worker Malcom Green was convicted of the murder of 41 year old Glenys Johnson. Green subsequently went on to murder his second victim following release from prison in 1989. A local Television Company would now like to get in touch with anyone who has a personal story related to these tragic incidents. Are you the teacher who spotted 2 holdalls left in a layby, or the farm worker who discovered the body of Green’s 2nd victim? Were you a friend of Malcom Green’s or did you work with him at the slaughterhouse, on the docks or at British Steel? We would particularly like to talk to Malcom Green’s ex wife, any children of the family, or extended family. 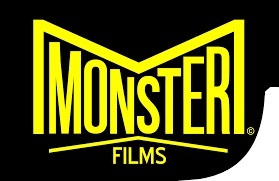 If you would like to tell your personal story please get in touch with the programme’s researcher on maggie@monsterfilms.net or call 07734919648 – all contact will be treated with confidentiality, and sensitivity. ‘Murder by the Sea’ is due to start filming in the spring of 2018.